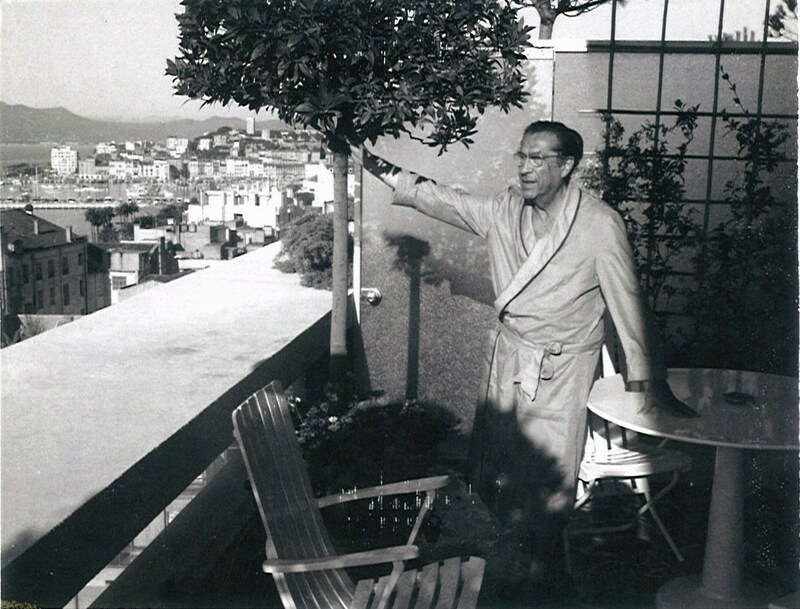 Erik Charell, the director of the original film version of Der Kongress tanzt, labored long and hard to bring his successful movie to the stage, for decades. However, it never really happened. 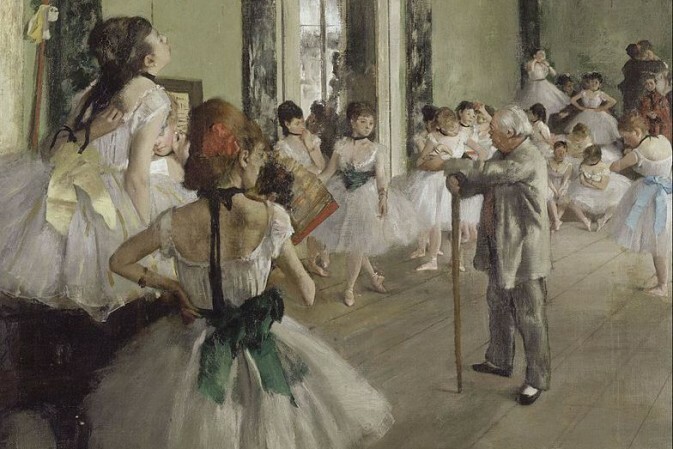 Not that the transfer didn’t happen, but it was never a sensation comparable to what Charel created back in 1931. Because somewhere along the way the irresistible charm of Lilian Harvey and Willy Fritsch, Otto Wallburg, Adele Sandrock et al. got lost. 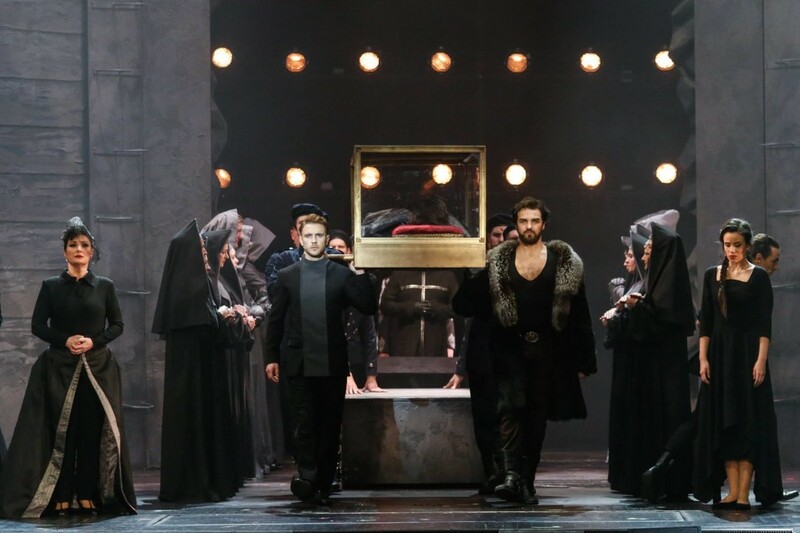 Recently the Volksoper Vienna tried again, in a production by intendant Robert Meyer, propably hoping that not too many people today would remember the historic version. This Viennese production, enhanced with many Werner Richard Heymann songs taken from elsewhere, is now available as a cast album. 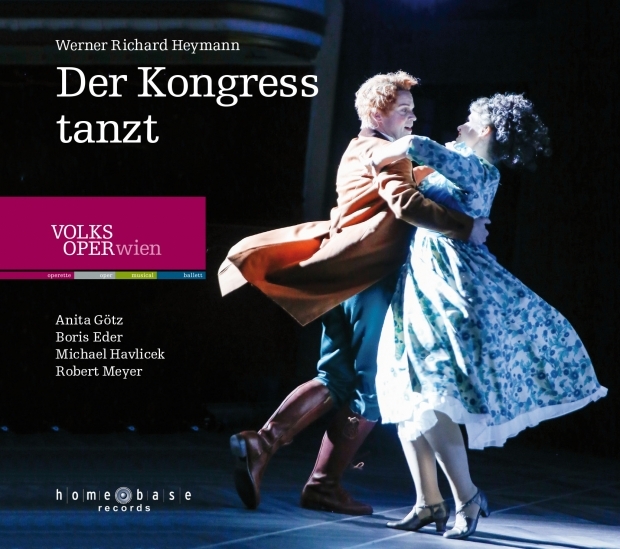 The CD cover of “Der Konhress tanzt” from the Volksoper Vienna. Of course, the self-irony of these early UFA film operettas, and that highly individual style of singing by Harvey and Fritsch was unique. And it’s hard to replace, because as soon as you give this lighthearted material to opera singers it sounds cheap and cheesy. Only listen to Anneliese Rothenberger singing “Das gibt’s nur einmal” (the main hit song from the movie) and you know what I mean. The Volksoper offers Anita Götz as the not-so-youthful hat maker Christl, speaking with a strong Viennese accent. After all, the action is set in Vienna 1814 during the famous Congress in which the political future of Europe was restructured for a post-Napoleon world of conservatism and oppression. Boris Eder is the red-headed Russian Czar pursuing Christl. Hearing him and Götz in their various love duets, including the additional “Liebeswalzer”, can be painful. Because they sound so incredibly stilted, so labored. At least acoustically, maybe they worked better on stage. Add to this a pretty uneventful new orchestration by Christian Kolonovits: it lacks nearly all of the special effects that made Heymann’s own recording and conducting so groundbreaking. The movie doesn’t contain that much music, so it’s understandable that the Volksoper searched for more songs by Heymann, with the blessing of Heymann’s daughter. But giving famous Hans Albers numbers such as “Hoppla jetzt komm’ ich” to the Czar doesn’t work. Or, differently put, Boris Eder doesn’t create a convincing new character that would make the self assured Albers song fully credible. There are various other extras, such as Renée Schüttengruber singing about the “Great Press Whore” (“Arie der großen Hure Presse”), close in style to Hanns Eisler. Here it is sung with some wobbly opera tones. Regula Rosin sings the “elderly lady” (Sandrock’s role) and is given “Mir liegen die älteren Jahrgänge.” She, like all others, can’t set aside her opera singing. Which is – generally speaking – a problem with too many Volksoper productions. In Rosin’s defence, I need to add that she delivers the ‘naughty’ lyrics about preferring elderly gentlemen well. But again, the charm is missing all around, certainly when you start thinking of Sandrock or Trude Hesterberg, for whom the song was written after WW2. So where does that leave things? If you don’t mind your classics being recycled like Irving Berlin and George Gershwin get recycled on Broadway, with singers who don’t match the style of the original interpreters but don’t find a new convincing approach either, an approach that can stand on its own, then you will probably enjoy this new version. By all accounts the stage production was a success in Vienna, which could celebrate itself as a nostalgic place-to-be with such a piece. Never mind self-irony. The conducting by Christian Kolonovits is swift and bouncy, the recording live, judging from the audience reaction which is mostly enthusiastic. The amplified voices come across well on CD, like in a studio recording. The elements of homoeroticism, the question of being forced to lead a double life, the political comment overshadowing everything in the original version of 1931, all that is swept aside here … maybe because stage director Robert Meyer assumes no one today cares for such things in “operetta dream land” made in Austria? The tragedy is, that Der Kongress tanzt was “Made in Berlin.” And that was synonymous for a very different feeling, more Babylon Berlin and KitKat Club than Sachertorte and Prater, or Volksoper. Obviously, it’s a matter of taste what you prefer. Both have their international fans, and after 1945 the harmless sugary Viennese tradition has been the dominant one; this late Kongress tanzt cast album documents that. In the end, Harvey and Fritsch covered both spheres brilliantly, that’s what made them so exceptional. Boris Eder and Anita Götz are sympathetic singers-of-a-certain-operetta-age, but they are not outstanding personalities in front of a microphone. You could easily replace them with a million other equally sympathetic singers, whereas Harvey/Fritsch have remained irreplaceable. And I shall not start discussing Erik Charell and the way he brought double entendres to stories such as that of Christl and the Czar. If you take it at face value, it’s harmless and boring – which is what you get here. Even if there is so much more Heymann music to enjoy. You can order the CD directly from the Volksoper (click here) or buy the tracks individually via Amazon and iTunes. The cast album is also on Spotify. Was the 1955 film version dubbed into English and distributed by Republic Pictures, and is this version accessible? You will have to consult a British film expert. I don’t recall an English audio option on the last DVD release.